Our mission is to provide the individuals and families we serve with tested financial strategies, solutions, and planning that can provide financial clarity and security. Founder and President of McBeath Financial Group, Krista McBeath has a deep passion for financially preparing people for the uncertainties in life. A crucial family event led to her calling in helping families alleviate financial worries and burdens. This event led her to earn her Bachelor of Science Degree in Insurance at Illinois State University in 2001, along with her degree in Business Administration. After years of success in the insurance industry as an agent, she believed she could better fulfill her mission as an independent advisor. Driven by her passions and philosophy of integrity, she founded McBeath Tax and Financial Services, LLC in 2008. As an Illinois Licensed Insurance Agent, she began by helping families pursue financial peace of mind with insurance products. Although life insurance and long-term care solutions were personally important, she also developed an expertise in financial insurance products designed to help protect retirements from an unstable market. Shortly thereafter, she passed her Series 65 to earn her securities license. McBeath Financial Group was then formed and became an Illinois Registered Investment Advisory Firm. As an Investment Advisor with a securities license, Krista is a fiduciary. That means she is held to the highest standard of ethics and is bound to put her client’s needs above self-interest. As such, the series 65 license allowed her to offer investment advice and provide managed-money solutions for her clients. In 2018, Krista made the decision to no longer prepare income tax returns. Although her business has evolved to focus only on financial planning, investments and insurance, the experience as a tax advisor remains an important part of her practice as it is incorporated into every financial plan. 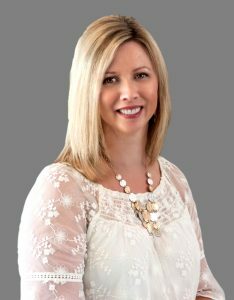 Throughout her career, Krista has maintained a commitment to education and she earned the designation of Chartered Financial Consultant (ChFC®) in 2015. 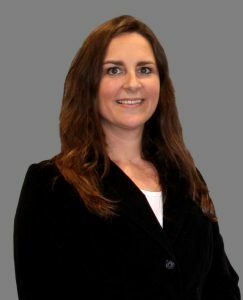 Krista is a member of many professional organizations including the National Association of Insurance and Financial Advisors and the National Association of Fixed Annuities. Krista is deeply committed to the local community. She is a board member of OSF St. Joseph Foundation and volunteers as a Sunday School teacher at Eastview Christian Church. In addition she is an ardent supporter of The Humane Society of Central Illinois and Rutan Children’s Home. Mrs. McBeath resides in Bloomington with her husband Robert and daughter Jillian. Carol joined our office in early 2017 and quickly transitioned into many roles. As the Executive Assistant, Carol is versatile and indispensable to the operations of McBeath Financial Group. 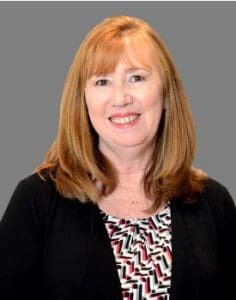 Carol oversees numerous areas of the office, including her specialty in planning client events and educational workshops. In addition, her role in assisting clients with a smile is a gift for all! Carol continues to grow and take on additional responsibilities critical to the growth of the company. With Krista's coaching, she is gaining proficiency of the technology involved with our financial planning systems. This has allowed Carol to grow into an important role in the administration of the financial planning process. Carol’s formal education is a Master of Science and Bachelor of Science in Business Education from Eastern Illinois University. Her background is administration and human resources from the manufacturing industry and the educational arena. She resides in Bloomington with her husband Ben and daughter Brittany. We are excited to have added Candace Corkery to our team. Candace joined our team in December 2018 to assist with our growing financial services processes. In addition to assisting with client service needs and scheduling, she is growing into a role working in the paperwork processing for our investment and insurance practice. Her five years previous experience in the insurance industry has been an asset in speeding up her growth curve. Candace commutes daily from Lexington, IL. She has two daughters, Kaelyn and Kallie and her long-time boyfriend, Justin. As Krista's husband, Robert has had a strong influence on the inception and growth of the company. 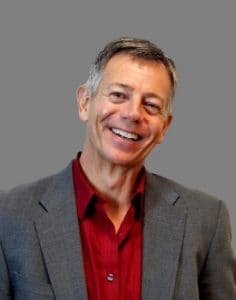 With over twenty-five years of experience as an entrepreneur and business owner, his background in small business operations and leadership contribute to the organization's stability and success. As the McBeath Financial Group has grown, so has his role behind the scenes in collaborating on goal-driven growth strategies and system development. His responsibilities include strategic marketing systems, accounting functions and more. Robert is a licensed insurance agent for the state of Illinois as well as an Investment Advisor Representative.